Artsy Teens have no time for academics — they’re too busy creating. Art is their passion and they need the latest gadgets to keep up with them. 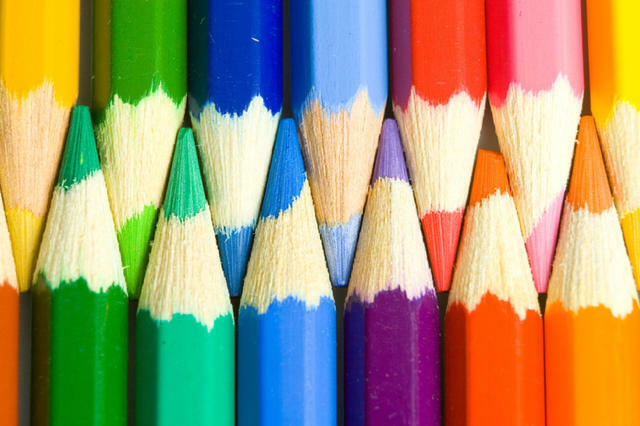 Here are some gifts the Artsy Teen will treasure. GelaSkins makes it easy to customize your iPad or any other device. With hundreds of different designs to choose from the Artist Teen will have a hard time deciding which one to get. Lucky for you, they have a special — buy three, get one free. Made with iPad3M technology for easy application and clean removal. The iPad Skin is available from GelaSkins for $29.95 in hundreds of styles. Buy three, get one free. Remember how much fun it was to draw with the Etch-A-Sketch? Well, you can’t draw with this iPad Case from Headcase, but people will think that you can. 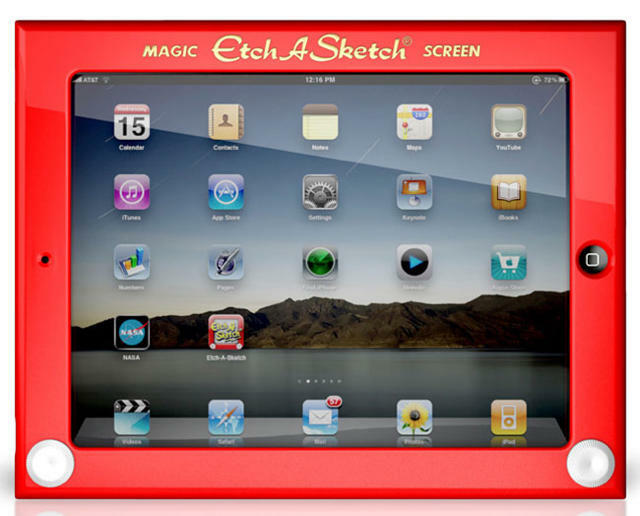 The Etch-A-Sketch Case allows easy use of the iPad’s ports and buttons, and a retractable stand allows for easy viewing. 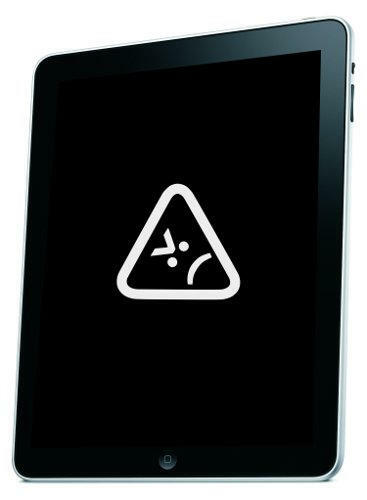 Made from impact-resistant plastic to protect the iPad. With over 150 million Etch-A-Sketches sold, the whole world will recognize and love this iPad case. The Headcase Etch-A-Sketch Case is available from Headcase for $39. The Etch A Sketch App turns your iPad into the world’s favorite drawing toy. With the multi-touch feature, the Artsy Teen can use both knobs at once — just like the real one. If they want to change or erase their creation they can simply shake it and it will be gone forever. Of course, masterpieces can be saved or imported, and can even be sent to friends. 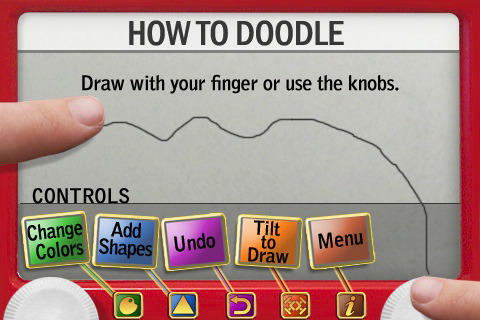 The Etch A Sketch App is available from iTunes for $0.99. The Sketchbook Pro App turns the iPad into the ultimate digital sketchbook. 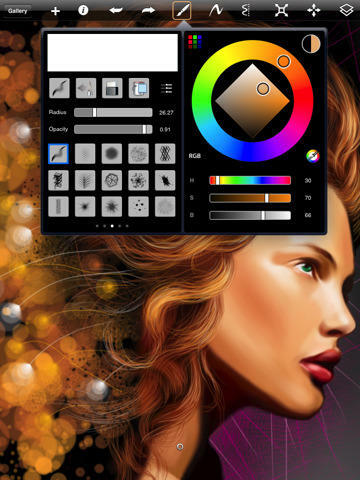 Offering a complete set of sketching and painting tools through an intuitive user interface designed exclusively for the iPad. Fun for both the occasional doodler or the professional illustrator. Sketchbook Pro iPad App is available from iTunes for $7.99. It’s like a digital canvas, a blank slate; the Artsy Teen is sure to create all manner of art with this revolutionary little gadget. The Gramercy Messenger Sling is the most versatile organization system available. The Gramercy holds an iPad, and so much more. A windowed front pocket holds a cell phone and the GRID-IT system, a rubberized woven object system, is ideal for organizing art accessories (or anything, really). The Gramercy is waterproof and comes with an adjustable shoulder strap. 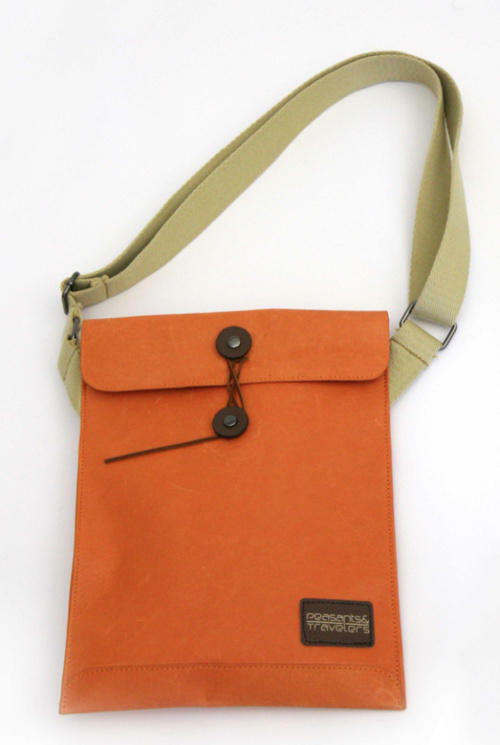 This hip-looking orange iPad bag resembles those manilla legal envelopes that hold important documents. The flat and compact Metro-Envelope will hold an iPad and more. 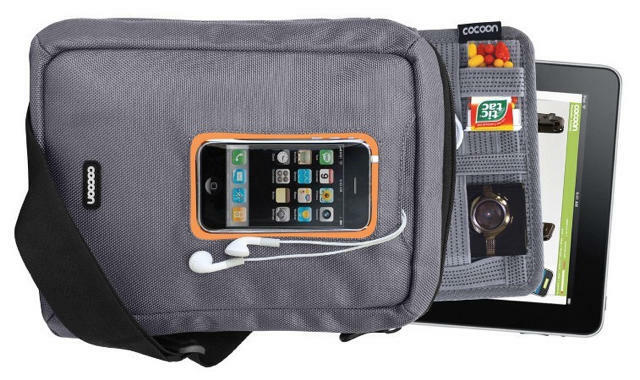 With a discreet magnetic closure and internal pockets for storage, rest assured that all of your stuff will be secure. The Flip UltraHD is great. The all-new, slimmer UltraHD now features image stabilization and two hours of incredible HD. Pre-loaded FlipShare software makes it easy to organize, edit and share videos. The Flip UltraHD 8GB is available from Flip Video for $199.99. 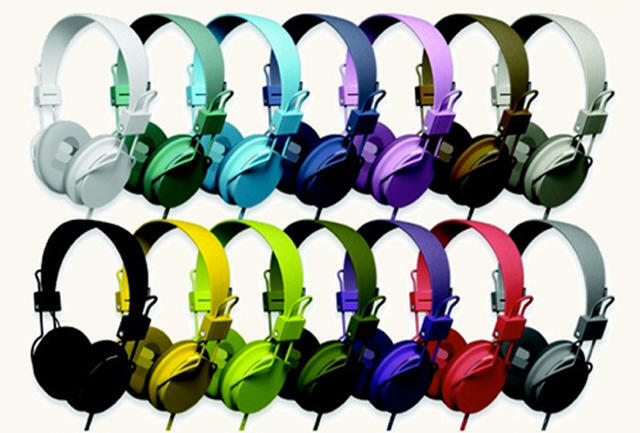 With over fourteen colors to choose from, the Plattan headphone has a color for every mood of the artist. The Plattan is a full size headphone allowing for rich, secluded sound. It can be folded down to the size of a fist for maximum mobility. Plattan also comes with a “zound plug” on the earcap, allowing for a friend to plug in and enjoy your music. The Yetil THX USB Microphone by Blue Microphones is perfect for podcasting and music projects. It’s fun to use and sounds just as good as it looks. The most advanced and versatile multi-pattern USB microphone, Yeti features Blue’s innovative triple-capsule array that lets you record in stereo or your choice of three unique patterns, including cardioid, omni-directional and bi-directional. 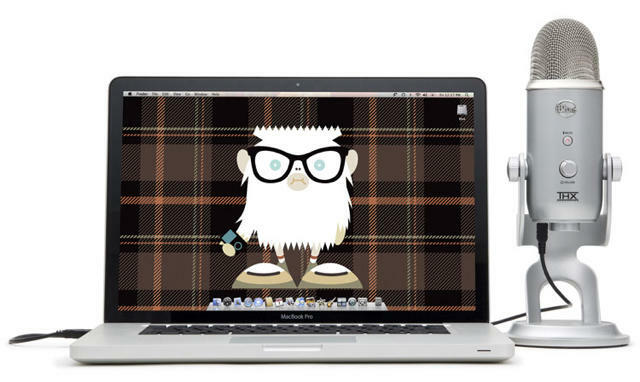 The Yeti THX USB Microphone is available from the Apple Store for $149.95. a blast editing a movie, learning to play piano or guitar, organizing and sharing all their photos and more. Install the iLife Family Pack on up to five Mac computers in your household. 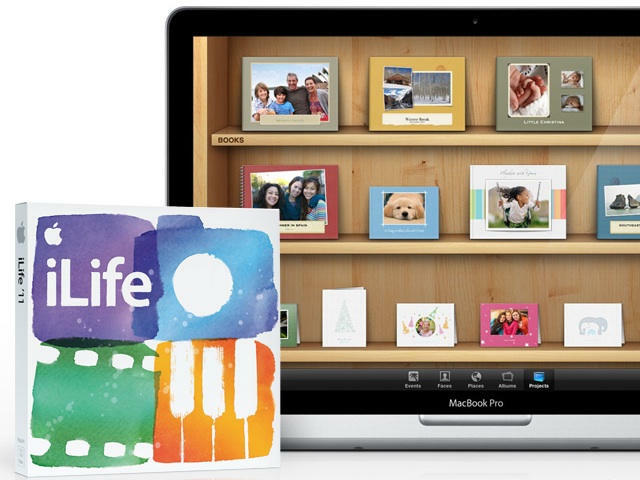 iLife 11 is available from the Apple Store for $49, or $79 for the Family Pack. 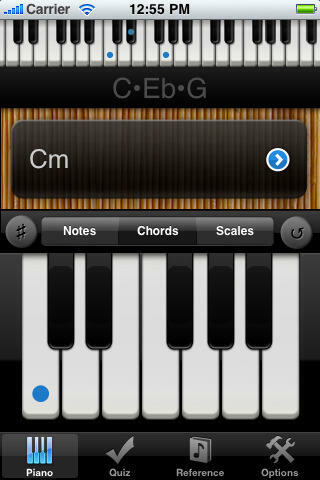 Nota is a set of indispensable tools for musicians at any level. It has a piano chord and scale browser, a piano and staff note locator, a note quiz and a reference library with over 100 symbols. 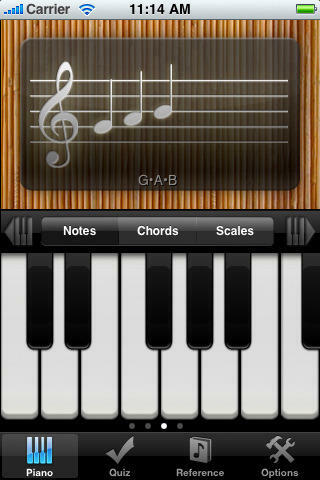 For beginners, Nota’s tools covers the basics of music notation with a four-octave piano that displays the notes on a staff, a fullscreen landscape-mode piano for practicing and an interactive notes quiz to test knowledge of notes.